Turquoise. We are just drawn to that bright blue color that is signature to the stone. Turquoise is the symbol of happiness. It is not super expensive, and so keeps people from buying it, nor is it a worthless, common thing that is lying around everywhere. 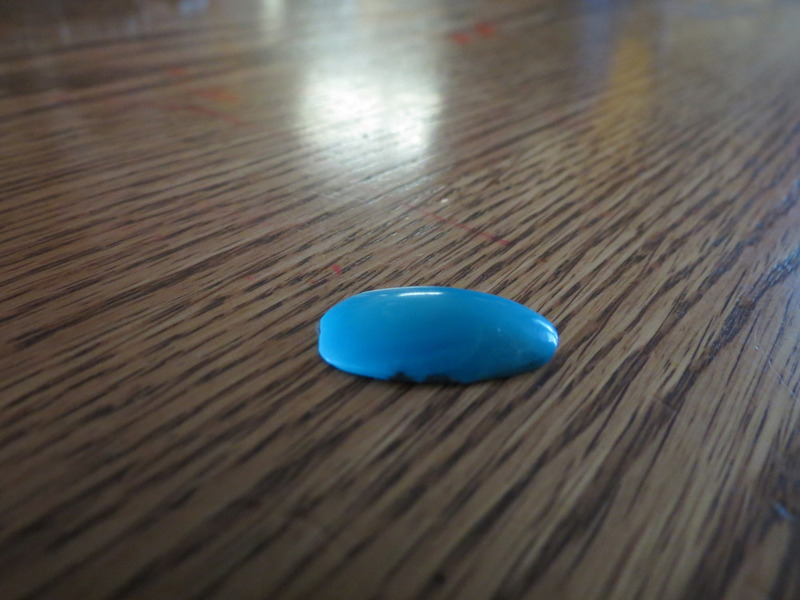 It is fairly soft, making the jeweler’s job easier, and it polishes beautifully. Overall, this is the stone you want to wear to a social gathering or celebration. Turquoise gets it’s name from the french, who were the height of fashion and of course knew which stones to wear and when to wear them (my dad grew up in france, did I ever tell you that?). 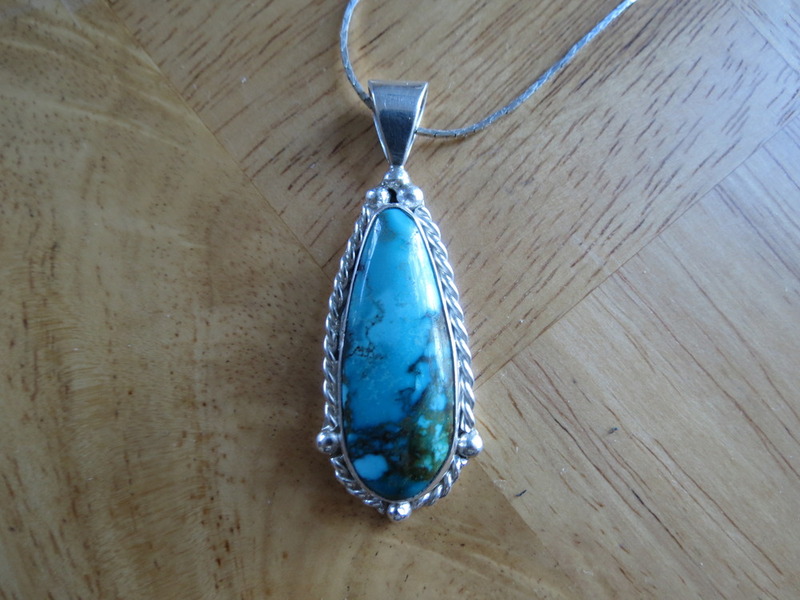 Because the stones came from the region of turkey, and the name gradually garbled from turkey stones to turquoise. Turquoise occurs mainly in hot places, such as Arizona, deserts in Egypt, Persia, and other such places, and yet it is hydrated. No one really knows why this is, but we do know that de-hydrated turquoise is a drab shade of green. To keep your stone from turning green, you do not need to dunk it in water like opal, just make sure you don’t get perfume or other oils on it. (including the natural oil in your skin, so don’t wear it in a way that the stone is directly against your skin). This entry was posted in Uncategorized and tagged turquoise on September 4, 2012 by Captain Belaq.